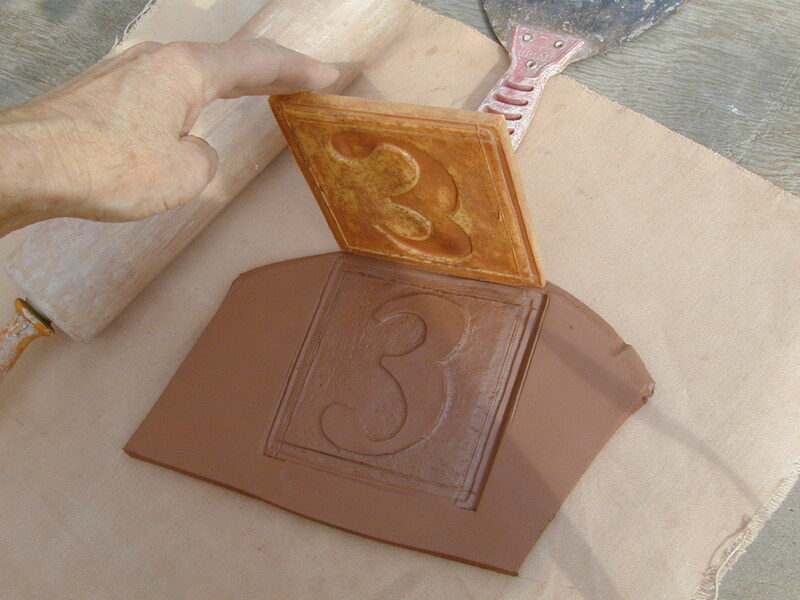 Making a tile address plaque begins with the mixing of clay. We buy clay that has been mined, dried, pulverized, screened and shipped to our local clay supplier. These various clays come from various parts of the country, but since we add the water here when we blend and mix our clay the shipping weight and carbon use is diminished by about a third of what it would be to transport wet clay. 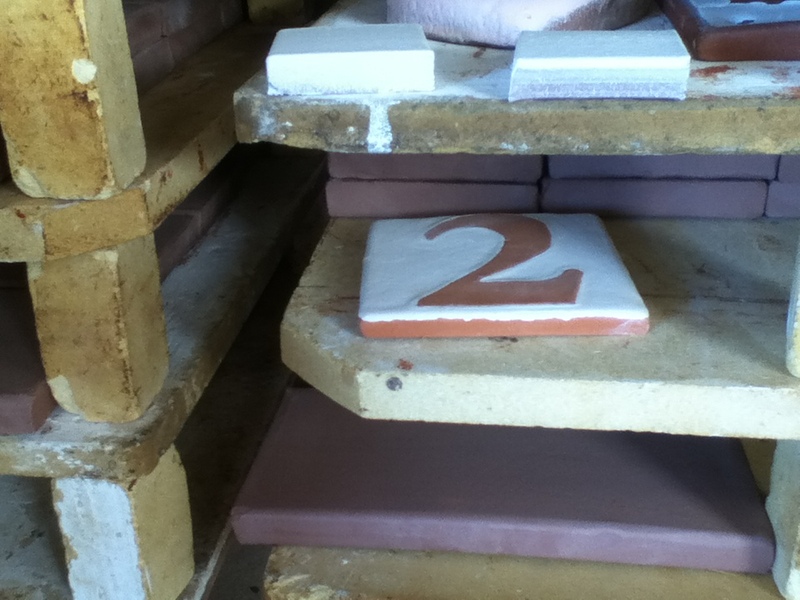 To make a tile number we first create a clay slab either by extruding or rolling. Molds, which we create here in our shop either from plaster or rubber, are pressed into the slab and the number is then cut to size. 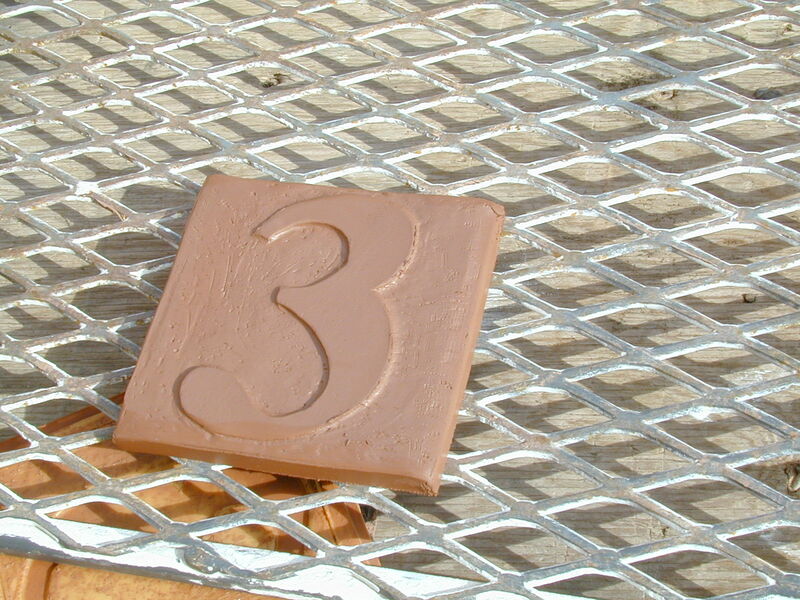 Drying is accomplished by placing the number in the sun onto expanded metal which allows the clay to dry equally on all sides and greatly reduces the likelihood of warping. After the clay has dried, we either bisque it or glaze it green. 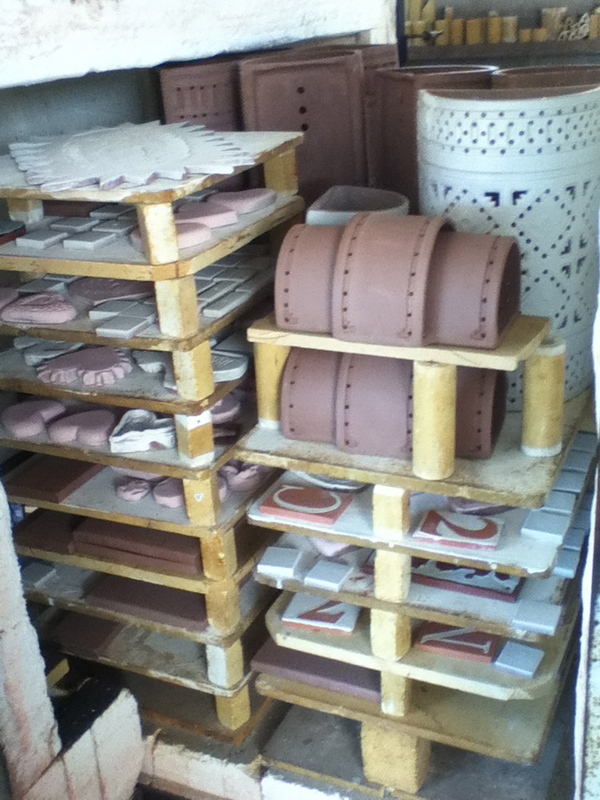 To bisque means to do a preliminary firing, usually at a low temperature. 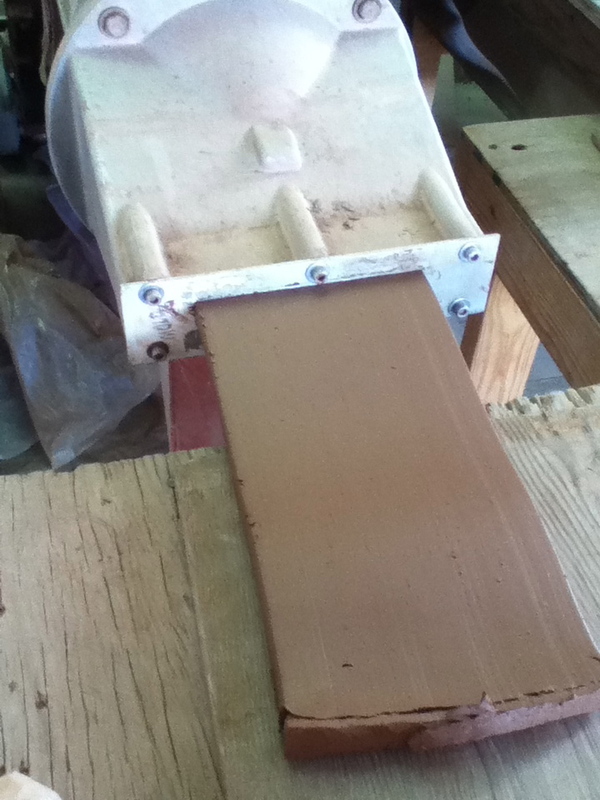 A green tile is one that is dry but not fired. 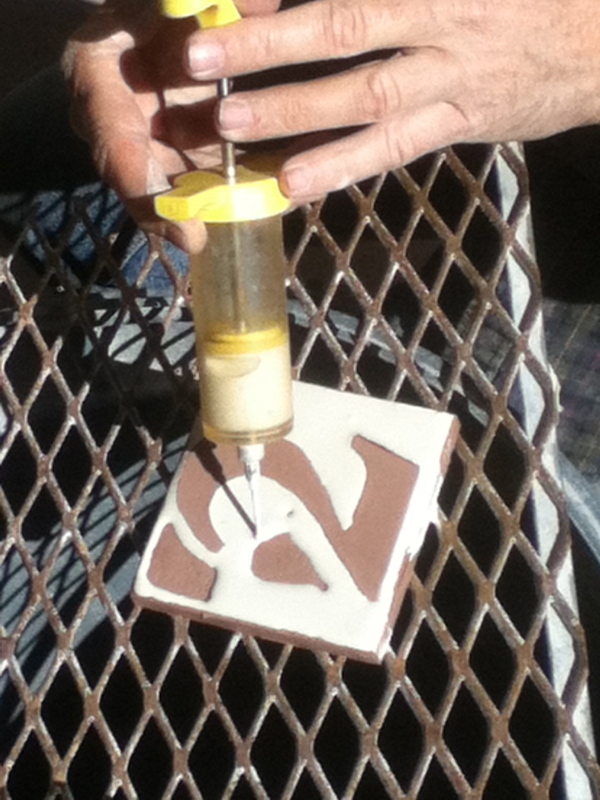 At our studio we have traditionally done most of our glazing on green clay but recently we have begun bisquing the tiles which are decorated with the use of a syringe. For some reason we have been getting a greater percentage of tiles with faults that need to be reglazed a placed back in the kiln when we use green tiles. So we are bisquing most of them now. This is how we get the glaze on the tiles. This is a veterinary syringe. 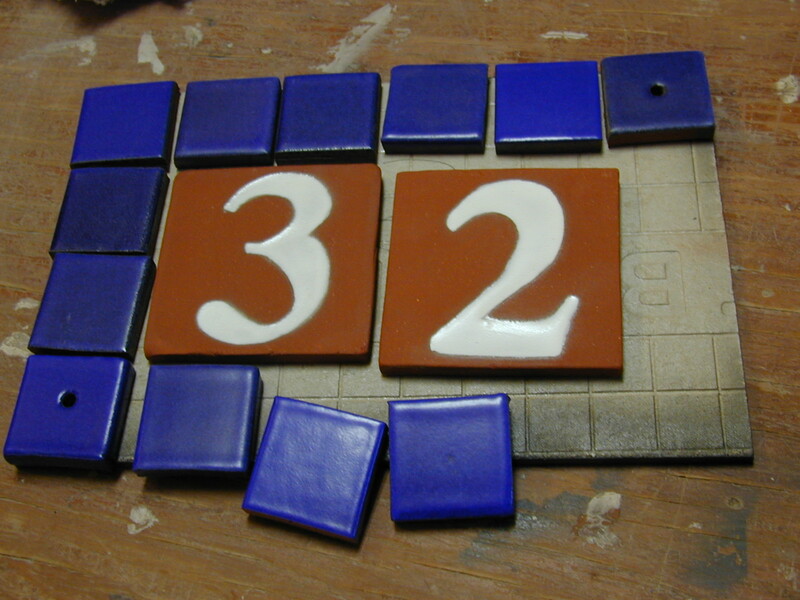 The glazed tile is now ready to be place in the kiln along with other objects. 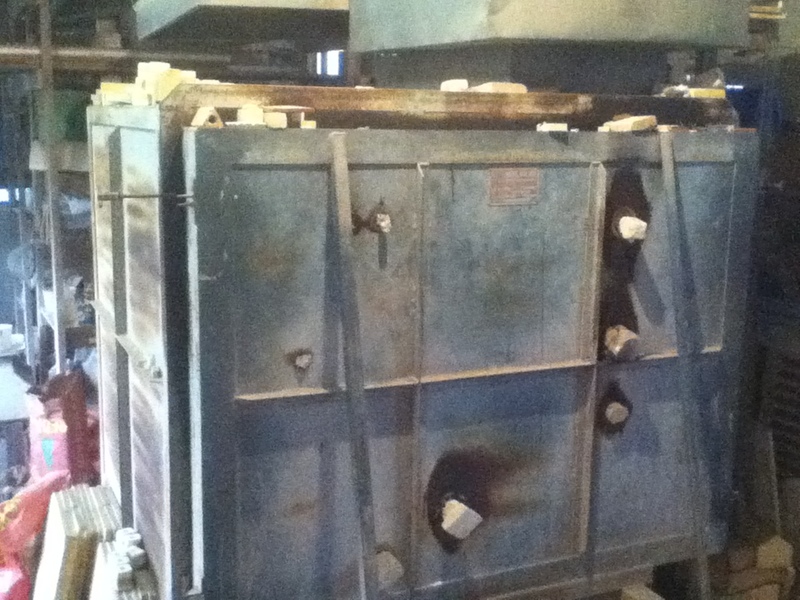 We try not to fire a kiln unless it is full. Firing the kiln takes about 15 hours. Six or seven of those hours, only the pilot light is on. Slowly raising the heat to about 300°F and holding it there ensures all the clay objects are dry and will not crack from steam escaping the clay. We usually have an inventory of finished numbers and decorative trim peaces so that our clients won’t have to wait the 2 or 3 weeks it takes to complete the tile making process. Here you can see how we put our plaques together. Thin set mortar onto concrete board. After the mortar is dry the piece is grouted . Notice the predrilled holes in the corner tiles for attaching to the wall with screws. The finished plaque is grouted and can have various colors surrounding it. Born in 1949. Lived in Corpus Christi, Texas until left for University of Texas in Austin. BA History 1971. Married to Chris Gray 1970. Stewart Gray son. Alice Gray daughter. 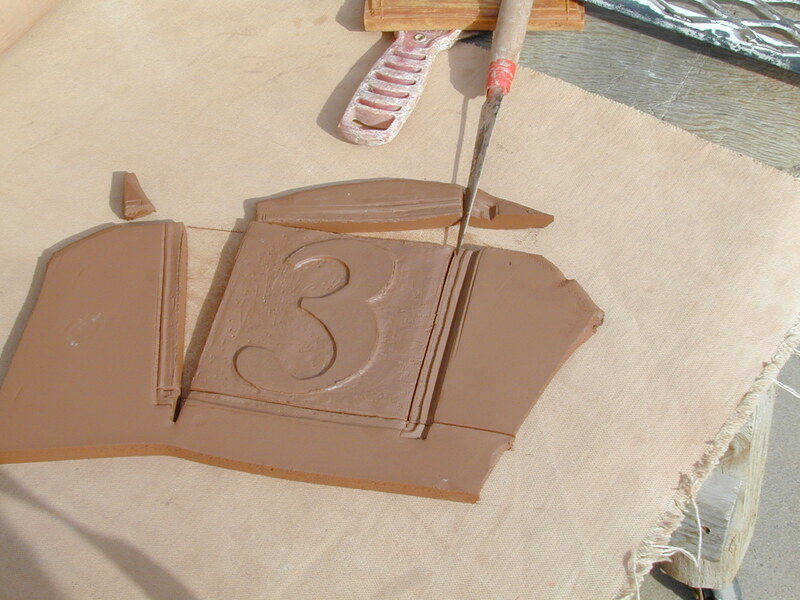 Began interest in Clay in College. 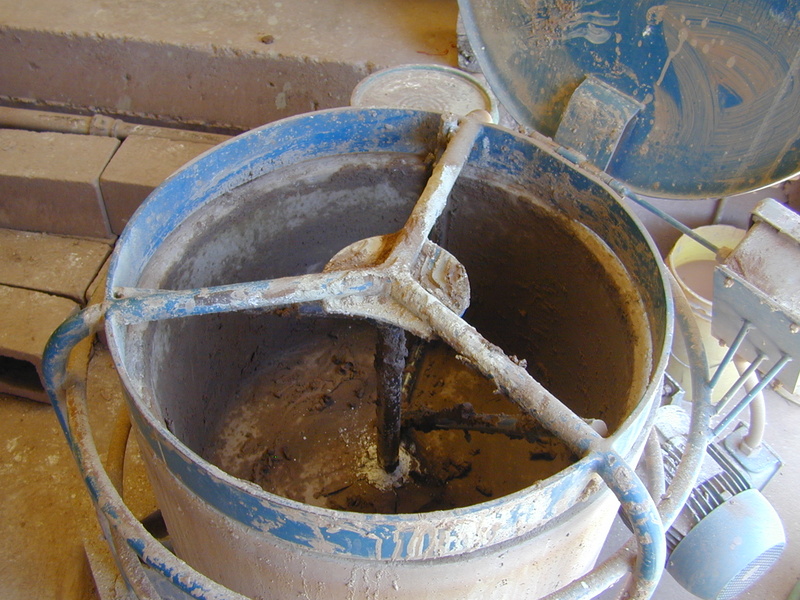 Built first potters wheel from kit found on Whole Earth Catalog. Still trying to improve my clay working abilities. Enjoy practicing Spanish. Sailing small boats and canoeing are still interesting. A family member has tuberous sclerosis so I am interested in research into a cure for this disease. 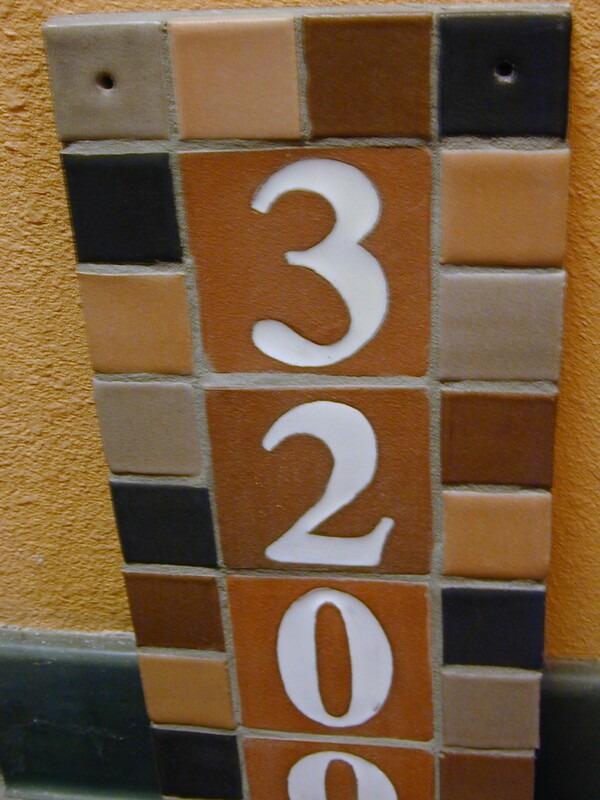 This entry was posted in Uncategorized and tagged address numbers, glazed numbers, handmade house numbers, handmade number plaque, handmade tile, house number, tile numbers, tile plaque, weatherproof number. Bookmark the permalink.